Nine Elms has been going through some impressive changes recently with a vast regeneration project well underway. The new developments are not only enticing new residents to the neighbourhood, but are also bringing new businesses to the area, including bars, restaurants and shops. Here are our suggestions for the best places to eat and drink in Nine Elms. Located on the banks of the River Thames next door to the iconic Battersea Power Station, Fiume offers visitors a delicious selection of southern Italian cuisine. With its outside terrace overlooking the river, Fiume is the perfect place to enjoy a long lunch or meet friends for a drink on a warm sunny evening. It’s part of the D&D group (German Gymnasium, Bluebird, Paternoster Chop House) so the quality is guaranteed. The set dinner menu at £21.50 for three courses with a glass of Prosecco is an absolute steal – try the barbecued mackerel to start! The Nine Elms Tavern offers a warm and welcoming atmosphere, and with its floor-to-ceiling windows offering views over the Thames and upcycled interiors, this quirky bar is a great place to hang out with friends. The bar boasts a selection of locally sourced craft beers as well as a choice of wines and spirits. Food at The Nine Elms Tavern includes handmade sourdough pizzas, ale battered cod, Angus sirloin steak and cottage pie, so there really is something for everyone. Located in the heart of Embassy Gardens in Nine Elms, District is a fantastic Australian coffee shop offering freshly brewed coffee, tasty cakes and healthy snacks. The friendly atmosphere makes this a great place to grab a quick coffee or to enjoy a relaxed lunch, something we do regularly as our Nine Elms office is just around the corner. We can highly recommend the avocado on toast! Wright Brothers have to be one of the best places to visit for fresh fish in London, which is why we were so happy to hear they’d set up shop in Battersea. If you love seafood you have to visit – the menu currently offers such tasty delights as Galician octopus, tiger prawns, salmon sashimi and poke bowls. Boasting views across the river and of Battersea Power Station, Wright Brothers is an excellent location to enjoy good food and spend time with friends in Nine Elms. For something a little different we recommend trying their Oyster Masterclass – two hours of champagne, wine and a chance to taste your way around the British Isles and France. Rum lovers should make a bee-line for Cottons – this riverside rum shack is a fantastic place to get a taste of the Caribbean in the centre of London. Cottons offer a wide selection of drinks and cocktails, and boasts a mouth-watering menu of Caribbean inspired dishes. 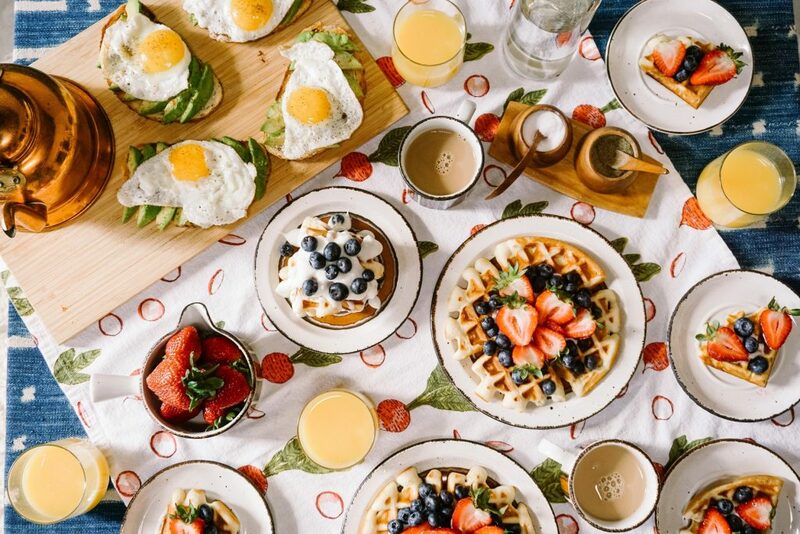 If you’re a fan of lazy brunches at the weekend (and who isn’t? ), you’ll definitely want pop over to Cottons on a Saturday or Sunday to make the most of their delicious brunch menu. You can even make it a boozy one with the option to add two hours of unlimited rum Marys, prosecco or mimosas. Not only does The Black Cab Coffee Company offer an amazing selection of coffees and teas, they also have a great selection of beers, wine, and cocktails making them a great place to visit at any time of day. If you fancy a bite to eat or a quiet brunch with friends then The Black Cab Coffee Company boasts an excellent menu of snacks and light meals. Located within the Battersea Power Station development, on the banks of the Thames, No.29 Power Station West has stylish interiors and a relaxed atmosphere. They have a great selection of food, from breakfasts to sharing plates to full Sunday roasts. Head down with friends or family and while away the day whilst looking out over the river. Where are your favourite places to eat and drink in Nine Elms? Let us know on Twitter.